File lies flat for quick access to papers. 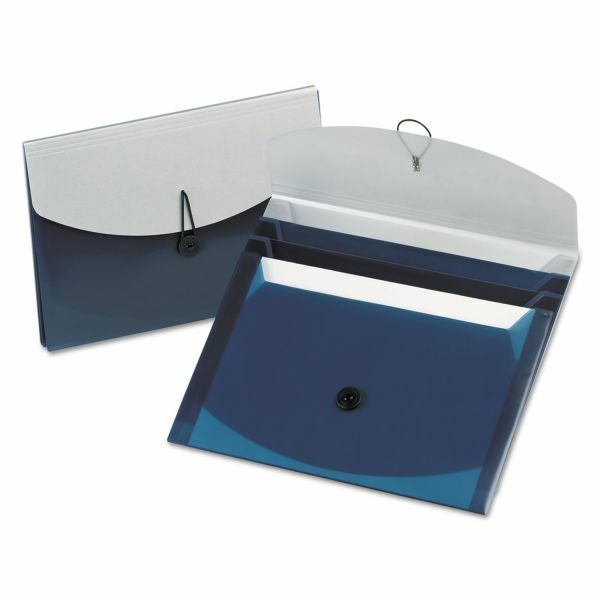 Durable, moisture-resistant poly protects documents. Pendaflex Four-Pocket Slide File Wallet, Letter, Polypropylene, Blue/Silver - Poly slide file opens to reveal four pockets making it perfect for sorting, organizing and traveling with your documents. Unique design lets file lie flat on desktop. When finished using, the file slides closed for easy transportation and storage. Slide file offers super durable poly construction and an elastic tie closure.